Very impressive writing and helpful too. Being a start-up business owner I got very important tips from this article. Thanks a lot for sharing. This is a well-explained benefit for the employee it is useful for all of the reader and getting good ideas. Thank you Ezzely for reading and sharing your comment. Subscribe to The Engage Blog (at the top right hand side of this page) to stay updated on all new articles, including future guest articles from Becca. Have a great day! Thanks so much for the kind comments about the article – I really appreciate it 🙂 Employee engagement really is the secret to business success in my opinion! “Employees are more valuable and important to your business than any other asset”, Becca, this is on-point when it comes to the subject of employee engagement. Again, thanks for sharing this Becca! You’re more than welcome! I’m glad you enjoyed the article and found it useful! 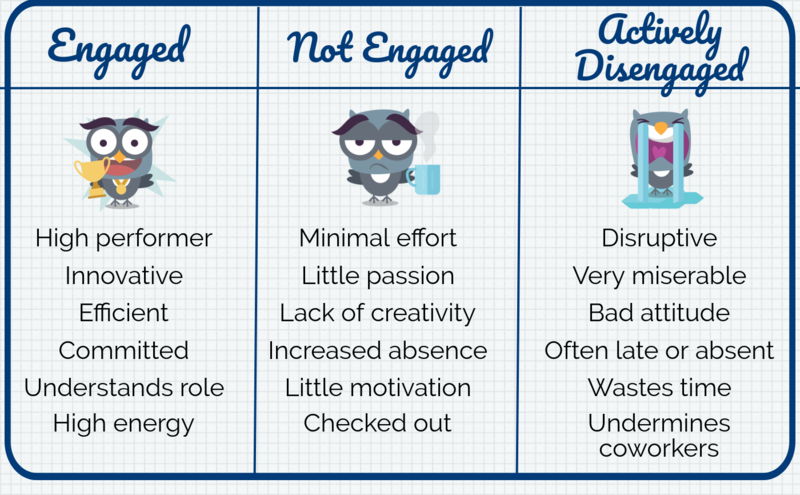 Very helpful info on employee engagement and you have expressed it in really nice way. Thanks for sharing. Thank you Jon for reading and sharing your comment. Feel free to subscribe to The Engage Blog (at the top right hand side of this page) to stay updated on all new employee engagement articles.